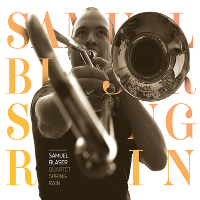 In a relatively short time, Swiss-born trombonist Samuel Blaser has established himself as one of the most interesting and innovative low brass players to emerge from the international avant-jazz scene at the beginning of the 21st Century. 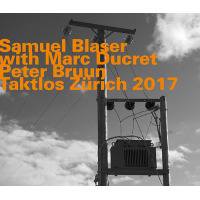 He's also becoming quite prolific, releasing four CDs under his own name over the previous 12 months.Boundless, Blaser's debut recording for the preeminent Swiss jazz label Hat Hut, virtually cements the notion that Blaser is more than just another technically adept youngster. 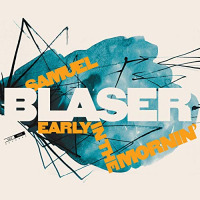 Barely into his thirties, Blaser balances sheer technical brilliance with razor-sharp musical instincts and an profound historical understanding of jazz and improvised music. Blending the pinpoint control of Julian Priester and a growing fondness for the expressive side of the instrument, with an uncanny ability to throw in multiphonic chordal sounds pretty much anywhere he wants, Blaser constantly engages with his fascinating, multi-faceted improvisations. 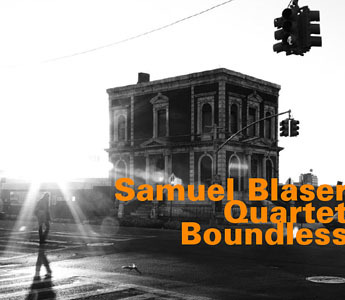 One of an increasing number of low brass players to fall under the influence of the great Albert Mangelsdorffwho's as much a reference point for trombonists as John Coltrane is for saxophonistsBlaser is a pioneer, already looking around the corner for the next idea. More dynamic than 2009's lovely Pieces of Old Sky (Clean Feed)," the music on Boundless provides multiple opportunities for each band member to really cut loose. 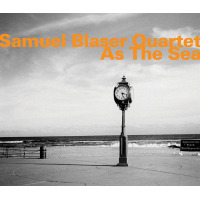 A set of themes originally conceived as separate and distinct compositions, Boundless balances these freedoms with the highly disciplined ensemble playing of Blaser's all-star quartet of like-minded European and American musical adventurers. Best known for his gutsy, multifaceted playing with saxophonist Tim Berne's various groups, guitarist Marc Ducret is an especially appropriate choice, clearly treading familiar territory here. Like much of Berne's recent work, Boundless plays out continuously over the course of an hour-plus. Ducret's malleable, shape-shifting sound and phrasing permutes as the music moves from the knotty, complex opening theme through the dark, stormy balladry of its closing minutes and the buttoned-down jazz of "Boundless Suite Part II," with its Albert Mangelsdorff-ian theme, to the ensuing metallic, funky explorations that seem like a minimal take on the whole electric Miles Davis thing. Both drummer Gerald Cleaver and contrabassist Banz Oester get extensive solo space during "Part III." There are some amazing drummers with incredible chops out there, but Cleaver is one of a distressingly small number who can actually tell a story with his instrument. His improvisation is all the more impressive considering the near-rubato tempo of this particular movement. 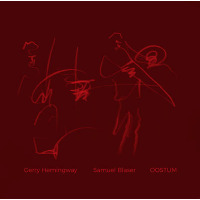 After the themean off-kilter phrase that gets repeated and extendedOester deals a finely wrought improvisation that develops into a pugilistic duet with Ducret, over Cleaver's simmering percussion. All four musicians seem to glow, red hot, throughout Boundless' torrid hour of intense music-making. Such incredible things can happen when people really listen to each other. Track Listing: Boundless Suite Part I; Boundless Suite Part II; Boundless Suite Part III; Boundless Suite Part IV. 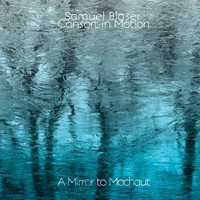 Personnel: Samuel Blaser: trombone; Marc Ducret: electric guitar; Gerald Cleaver: drums; Banz Oester: contrabass.